Shandong Maike Tungsten Molybdenum Technology Co.,LTD.is a well-known enterprise which devote to research and develop, production and sales,technical services and self-management import and export business of tungsten and molybdenum and other rare metal material.Factory area:20000m2, 300 employees, as a technology lead type company,all staff passed professional education for all around development and professional skill trained, the proportion of specialty engineering and technical personnel of more than 40%, and laid a solid foundation for long term development of the company. Shandong Maike has strong technical ability, modernization of the plant and advanced detection instruments,with a scientific and strict management system, production processes and practices, from product design,development, production through to sales and service all aspects ensure strict compliance with international quality system requirements. Companies adhere to the concept of honesty, commitment to product innovation, the development of a first-class equipment, first-class management, first-class quality and first-class service modern enterprise,sincerely welcome domestic and foreign friend to guide the company talk about governance,mutual benefit and cooperation, create brilliant. It is our dream to build a new standard of the field of Tungsten product, it is also the reason why we devote our efforts to upgrade the whole field of Tungsten Electrodes.Shandong Maike Non-Ferrous Metal Technology Co.,LTD is the pioneer of this field and is challenging the new project ceaselessly with technological methods.During the process,the staff of Maike build the special cooperate culture with their great enthusiasm,attic faith and unique technique.The idea of development is that Maike must be responsible for the whole society,It is also reflected in the corporate culture. 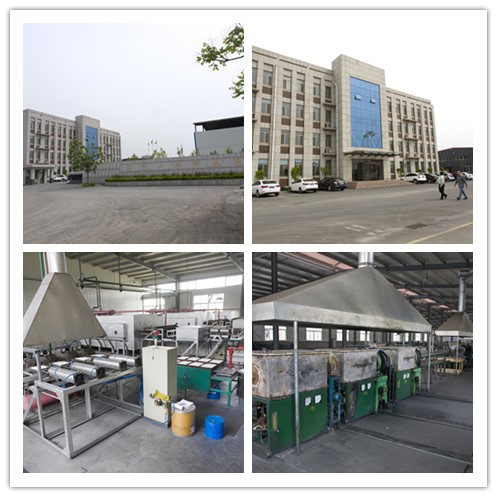 The research and development base and manufacturing factory of Shandong Maike Non-Ferrous Metal Technology Co.,LTD is located in ZIBO which is famous for its heavy industry. We supply goods, services and solving proposal to worldwide airline company, navigation field, motor-dom, petrol field, electric power field, machinery industry,light industry, textile industry, civil manufacturing field, and etc,our tenet is combining the advanced technique and service of the world together with our local nature,industry and human environment. The staff of Maike try their best to meet therequests of customers and creat the actual value for them finally. Meanwhile, they bring the high quality service mode to the customers and guarantee the benefits for them Maike is well known and universally acknowledged by its creative corporate culture,perfect managerial system and its promise to protecting the environment. And our customers are from all over the world,it is including: USA, Japan, UK, France, South Korea, Brazil, Australia, Canada, Southeast Asia, and most of important cities of China. With the principle of"equality, opening up, participation, cooperation and two wins" Maike is building firmly relationship with our customers on the basis of understanding, honesty and enthusiasm.